Brian McKnight is an American R&B singer-songwriter, arranger, producer, and musician. He is a multi-instrumentalist who plays eight instruments including piano, guitar, bass guitar, percussion, trombone, tuba, flugelhorn and trumpet. McKnight is most recognized for his strong falsetto and belting range. McKnight’s work has earned him 16 Grammy Awards nominations, though he has never won. He is third only to Morten Lindberg and Snoop Dogg for the record of most Grammy nominations without a win. McKnight signed with Motown in 1998 and released the Christmas album Bethlehem, the first of five albums he released on Motown. In 1999, McKnight released Back at One, his most successful album to date, which eventually went on to sell over three million copies. Also “Back at One” is one of four of McKnight’s studio albums to reach the Top 10 on the Billboard 200 albums chart, reaching number 7 on October 9, 1999. In 2004, McKnight co-wrote with Australian Soul artist Guy Sebastian the song “Wait”, off Sebastian’s Beautiful Life album. On January 26, 2009, McKnight hosted “The Brian McKnight Show” from 7PM-Midnight on 98.7 KISS FM in New York City. 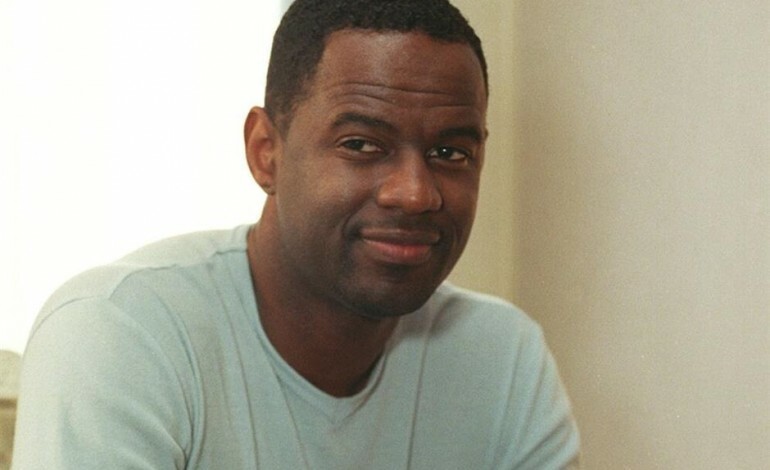 From September 2009 to May 2010, McKnight served as the media personality and hosted The Brian McKnight Show, a late night talk show billed as a combination of talk and variety, aired in syndication. The show was cancelled on May 29, 2010, after one season. On March 31, 2011, McKnight sang the National Anthem for MLB Opening Day in Cincinnati, Ohio with his sons Brian, Jr. and Niko. He had previously sung the National Anthem for the 1997 NBA All-Star Game in Cleveland, Ohio, Game 6 of the 2002 World Series in Anaheim, California, near his Los Angeles home, and the 2005 Major League Baseball All-Star Game in Detroit. McKnight has also made numerous other “National Anthem” appearances throughout his career. On October 22, 2012, McKnight sang “God Bless America” in the 7th inning of Game 7 of the National League Champion Series in San Francisco, California. On September 23, 2016, McKnight released his first live CD, DVD, and Blu-ray collection entitled An Evening With in partnership with independent recording label The SoNo Recording Group through the Universal Music Group. The concert was recorded in Los Angeles at the historic Saban Theatre. The release includes fourteen songs performed live with his full band plus three newly written and recorded songs. The first single “Everything” reached the top twenty on the national Adult Contemporary charts in September 2016. The CD version of the concert debuted on the Billboard R&B chart at number thirteen as a Hot Shot Debut. Also included is a duet with Gino Vannelli on the song “Brothers in the End”. The Blu-ray and DVD version of the release premiered on the Billboard Music DVD chart at number nine.